Gowercroft production and design teams were a key partner in the build. My aim was to make communication and ease of information to all trades a priority, I saw this as vital to keep the project on cost and on time, and at the same time maintain the quality finish. We have been using Gowercroft for the past 8 years and have always found them to have a high standard of quality and professionalism, often lacking in British manufacturing companies. I would have no hesitation in recommending Gowercroft, a company that goes the extra mile and add value to any project. We have been using Gowercroft for the past 8 years and have always found them to have a high standard of quality and professionalism, often lacking in British manufacturing companies. I would have no hesitation in recommending Gowercroft, a company that goes the extra mile and add value to any project. I found that Gowercroft offered both the slim double-glazing and Accoya timber products that I required for this project and when I contacted them Andy was happy to give me a guided tour of their small factory, still in Wirksworth at the time. He then provided quotes for different materials: softwood, hardwood and Accoya. The work I saw was of a high standard and they were friendly and helpful. It seems to be run like a small family business with customer care being a high priority! The double-glazed windows were all factory finished and fitted by Gowercroft to the satisfaction of myself, my client at Holbrook Hall and the Conservation Officer at Amber Valley Borough Council. I found that Gowercroft offered both the slim double-glazing and Accoya timber products that I required for this project and when I contacted them Andy was happy to give me a guided tour of their small factory, still in Wirksworth at the time. He then provided quotes for different materials: softwood, hardwood and Accoya. The work I saw was of a high standard and they were friendly and helpful. It seems to be run like a small family business with customer care being a high priority! The double-glazed windows were all factory finished and fitted by Gowercroft to the satisfaction of myself, my client at Holbrook Hall and the Conservation Officer at Amber Valley Borough Council. We felt happy and satisfied from start to finish with the very professional attitude and helpfulness of all the staff throughout each stage of the process. Absolutely delighted with the very high quality of our finished windows. The fitters were excellent, surveyor knowledgable and helped to produce a good design. Quality of Windows is excellent. We have received many positive comments from friends and passers by. The fitters were excellent, surveyor knowledgable and helped to produce a good design. Quality of Windows is excellent. We have received many positive comments from friends and passers by. In 2011, I undertook a barn conversion in rural Derbyshire. 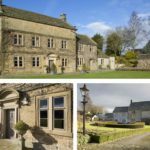 We were looking for a joinery company who could deliver the highly bespoke items required, while also offering the traditional appearance, neat joints and thin glazing bars required for the conservation-area. 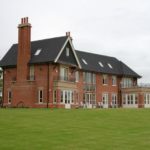 We chose Gowercroft after looking at a number of options and I was delighted with the outcome. They delivered an excellent quality product to the timeline required, helping us to keep on track with the development. We sold all of the dwellings without difficulty and the quality of the windows and doors had a big impact on the buyers. I have no hesitation in recommending Gowercroft for both the standard of products and the attentive service I received. 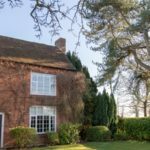 We spent many difficult months trying to find an appropriate supplier who could deliver a new window which suited the property, before discovering Gowercroft. We couldn't be happier with the end result, their products breathe new light into our property! 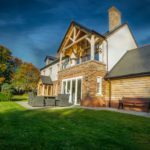 Although Southview isn’t in a designated conservation area, we were still committed to building a traditional looking home that would be in keeping with our unspoilt surroundings. Very Little could be improved! I am very pleased with the new windows, which have made a huge difference to the look and feel of the house. The damp smell has now gone, the air feels “healthier” and the house is much warmer and more comfortable. From the start of the project, David Brown of Gowercroft embraced our vision and helped us design a product that met the local planning constraints with all the criteria of aesthetics and performance. Their traditional craftsmanship and use of innovative, modern materials delivered a product that worked. I would have no hesitation in recommending Gowercroft for all types of projects; their assistance with design is invaluable. Ivan White - Project Director, Cross Tower Ventures Ltd. Impressed by the efficiency and quality of windows.